Located on the northeast corner of the Bentonville town square and a short walk to Crystal Bridges Museum of American Art, 21c Museum Hotel Bentonville- MGallery is a 104-room boutique hotel, contemporary art museum, cultural center and home to The Hive restaurant, led by executive chef Matthew McClure. Stay with us and the iconic Green Penguin. What can you expect to see when you visit 21c? Nothing expected, that's for sure. 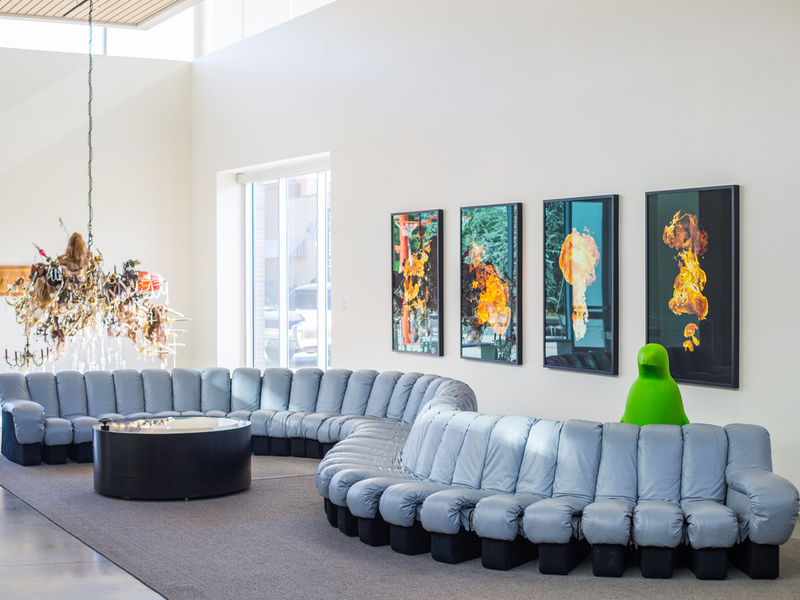 21c Bentonville features more than 12,000 square feet of art-filled event spaces. The guest rooms and suites are spacious with high ceilings, large windows, outfitted with custom-designed furniture, comfortable beds, plush robes and Malin + Goetz bath amenities. Modeled after the award-winning flagship in Louisville, Kentucky, 21c Bentonville features friendly, personal service and thoughtful amenities that are sure to make you feel at home.